This Christmas we will remember last Christmas. Last Christmas, my dad made us all laugh so hard we cried. We always have a gift exchange. Every gift last year had to start with the letter F...yes, F.
You're probably asking yourself, what was the most popular F gift? They were the hit of the exchange. Christmas 2016 - The year of the Fanny Pack. 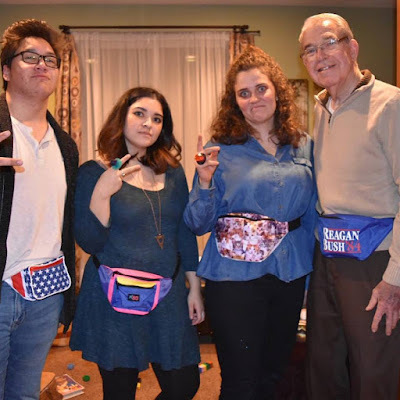 So my dad ended up with a Reagan/Bush fanny pack - he loved it. One of the other gifts was fake donuts. The fanny pack recipients all wanted to pose together and they decided to put the donuts on their fingers for fun. My dad stuck his middle finger through the donut and held it up. It was completely inappropriate but he didn't realize it. 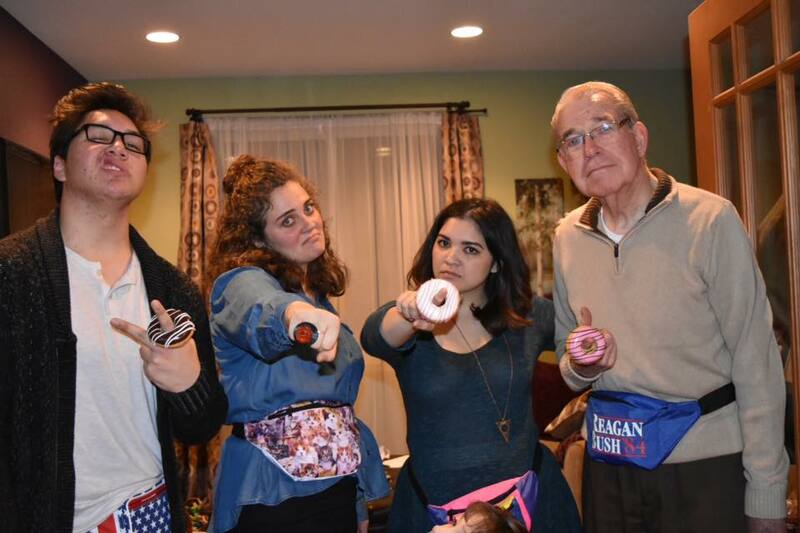 And there he was, an 82-year-old man wearing a Reagan/Bush fanny pack holding up his middle finger to the camera. Before snapping the shot I asked, "Dad, is that the finger you want to hold up for the photo?" And then he realized what he was doing and the whole place busted up with laughter. None of us could stop laughing, least of all him. He looks like he's sneezing but he's not, he's laughing so hard he can't stop. A photo of my dad with a proper finger through the hole of a donut. But we were all there and we will remember it this Christmas and we will all laugh in spite of missing him so desperately. Christmas will go on. This year our gift exchange letter is H.
I Hope Hilarity ensues...because I know my Hilarious dad will be laughing right along with us in Heaven. In preparing to share today, I pondered all of the wonderful things I could say about my dad. He was so gifted in so many ways and so generous in sharing those gifts with others. My dad was humble, though, and this time of sharing would probably embarrass him. So today I thought I’d honor him by sharing a simple little story from my childhood. As you probably know, my dad was a master woodworker. But what you may not know is that my dad was also a sculptor. His medium of choice? Foil. 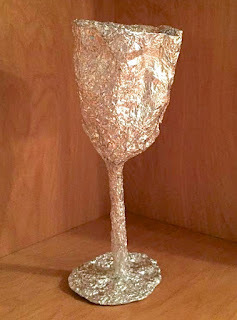 He could turn a sheet foil into many things but most often he sculpted the form of a goblet. Usually the sculptures were admired for a moment and eventually smashed with glee and thrown in the trash but this one was saved. At that time, I was perhaps the most shy, awkward, pimple-faced teenager on the planet. I didn’t feel nor look very loveable. I hugged him, told him I loved him too, and took the cup. The timing of that gift and the fact that it was filled with his love kept me from smashing it and throwing it away. It was a simple gesture—I knew he loved me—but to have this symbol, at that awkward time in my life meant the world to me. I put it on my dresser and saved it. When I got married and moved away, the foil goblet went with me. Over the years, I have carefully moved it from town to town, stuffed into a trunk or drawer—I could never part with it. 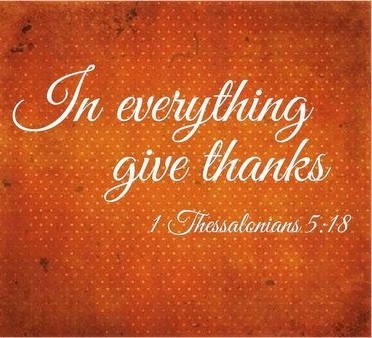 I’m so thankful I still have it today. 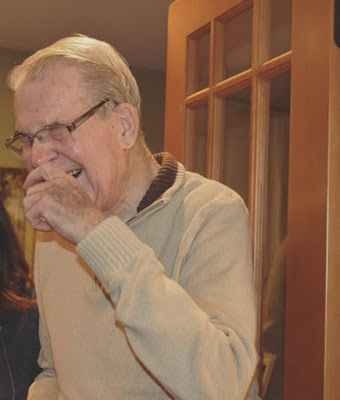 My dad accepted a gift of love as well—the gift of forgiveness. Because he accepted Christ as his Savior, that love spilled over to those who knew him. 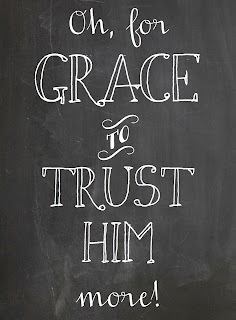 Maybe today, as you remember my dad, the grace offered by a loving God is resonating with you. You may not have been handed a sparkling foil cup, but we’ve all been offered an overflowing cup of love from God. Thank you for being with us today and honoring my dad. He was a man who loved people well. He loved our mom and accepted our spouses as his own children. Many of our childhood friends still call him dad. He loved his grandchildren fiercely and blessed their lives in countless ways. Many of their friends call him grandpa. I’m so thankful that God chose such a man to be my father. I've never lost someone this close to me. And I'm not handling it very well. My dad will go on hospice this week (I only recently learned what that's really about). He's got bone cancer...spawned from one of his other two cancers. I've never seen such exhaustion. Today the pain began in earnest. I watched my strong dad--who knows the answer to everything and can fix anything--beg for help. And then I began to cry and I couldn't get another word out so my mom prayed instead. My dad prayed in one-word breaths...between our tears. It has been a few days since I've prayed in sentences. I've been unable to think of what to pray. Why would I not be able to form a sentence on behalf of my dad to the One who can help him most? I called out to God but no thoughts or words came. 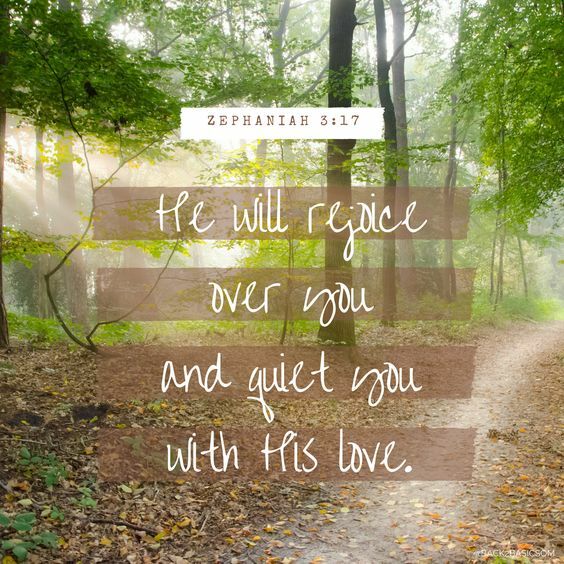 What a comfort...I don't need to know what to pray every second of every day...or every nano-second of every minute as I sit next to my precious dad. And I come back to this: I don't know how to watch someone I love suffer and die. Trust Him to to be present with my dad, quiet him with His love and rejoice over him with singing as He ushers my dad home. My twins were five years old and starting to lose their baby teeth. 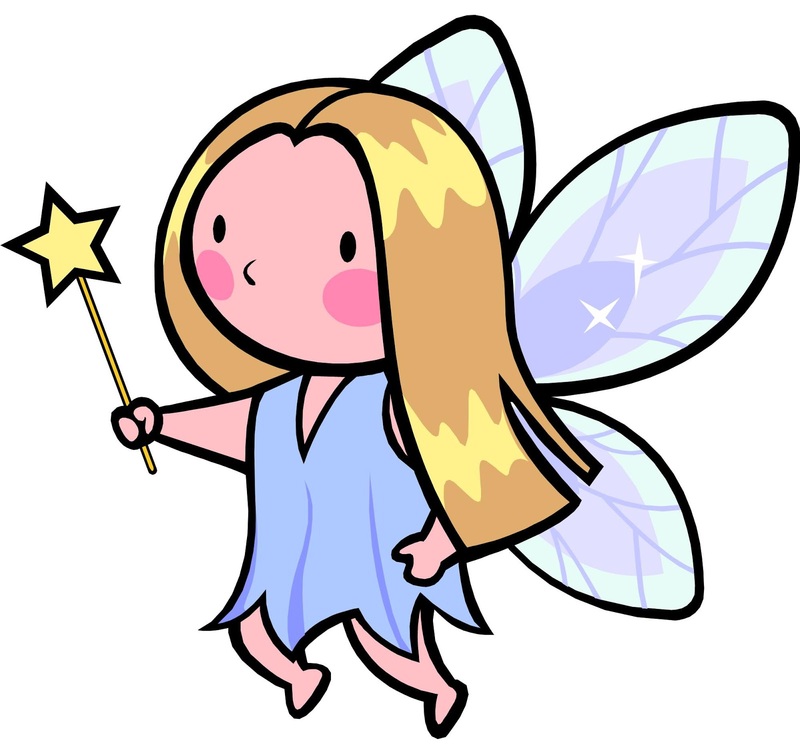 I looked forward to being the tooth fairy for them like my mom had done for me. My mother wrapped a coin in pink, stretchy crepe paper and, while I slept, exchanged the pretty package for my tooth. I never caught her and she never forgot. My daughter lost the first tooth and I performed right on cue. Success! Two lost teeth later I fell asleep on the job, waking up the next morning—neglecting to perform my tooth fairy duties. I jumped up in a panic and ran to my son’s room. Luckily, I managed to make the exchange just as he stirred awake. “Oh, I was just checking to see if the tooth fairy came.” I said. It was a close call but my cover wasn’t blown. The next time the tooth fairy was called to duty, I snuck into my daughter’s room a little too soon and her eyes opened as I searched under her pillow for the tooth box. A few more teeth and a few close calls later, I resigned myself to being a sub-par tooth fairy. How could I be so bad at something so simple? I hoped the kids weren’t on to my secret, but my hopes were dashed one spring day. My kids ran in the door from kindergarten, both speaking over each other to tell me a story. On the playground, a kid was bragging about his mother’s important job and all the other kids had joined in. “Mom, Sara’s mom is a nurse,” my daughter said. “Mark’s mom is a hair cutter,” my son added. I could see where this playground conversation had gone and as a stay-at-home mom, I wondered what they had said my job was. “What did you say I do?” I asked. They were elated to have unloaded the secret they’d been keeping for quite some time. 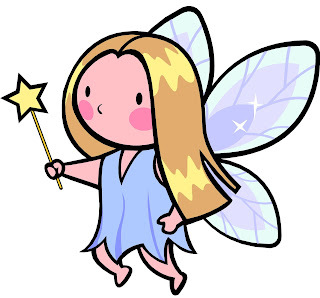 Upon further questioning, I realized that they didn’t think I was just their tooth fairy, but they had assumed that I was the tooth fairy for every child in the world. The other kids were very impressed. After I stopped laughing, I told them the truth, that yes, I was the tooth fairy. They’d caught me. Truth be told, over the course of the previous months of tooth fairy failure, I had grown to dread the words “Mom, I lost a tooth.” I associated it with another opportunity to drop the ball. Try as I might, I simply couldn’t get my act together at the end of a long day. It was one in a string of ways I thought I didn’t quite measure up to other moms. When my children told me their story, I was blessed. God had not used my lackluster tooth fairy skills to point to my inadequacy, He’d used it to build me up. He showed me that my children naturally thought the best of me. Instead of disappointment that I was a bad tooth fairy, they had thought me an even more excellent tooth fairy. As I mothered my kids to adulthood, the opportunities for guilt and comparison were never lacking. When frustration with my shortcomings would rear it’s ugly head, the Lord graciously reminded me that I was the tooth fairy. I remembered that even though I fail in some areas, I am God’s pick for my kids. He did not make a mistake in assigning me to my children, quite the contrary. 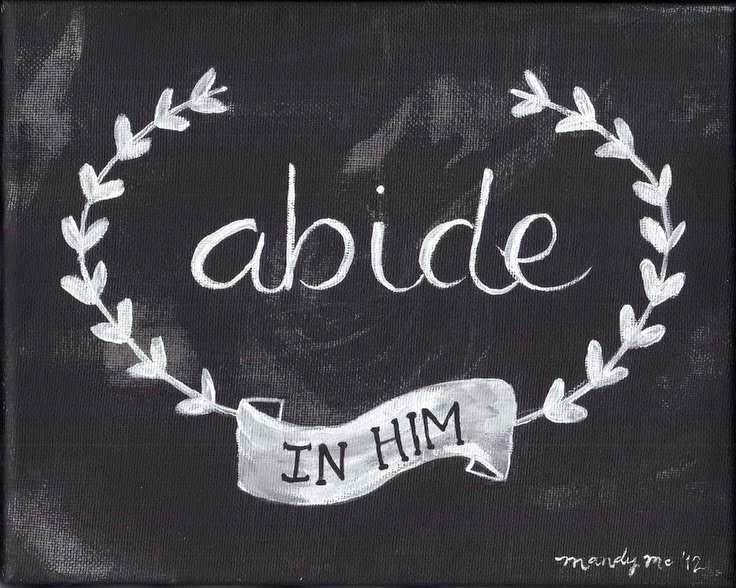 He put us together on purpose—with purpose—that He would be glorified. God’s grace is not a one-time gift, limited to salvation, it is a daily gift, one that we can choose to receive over and over as we muddle through motherhood. 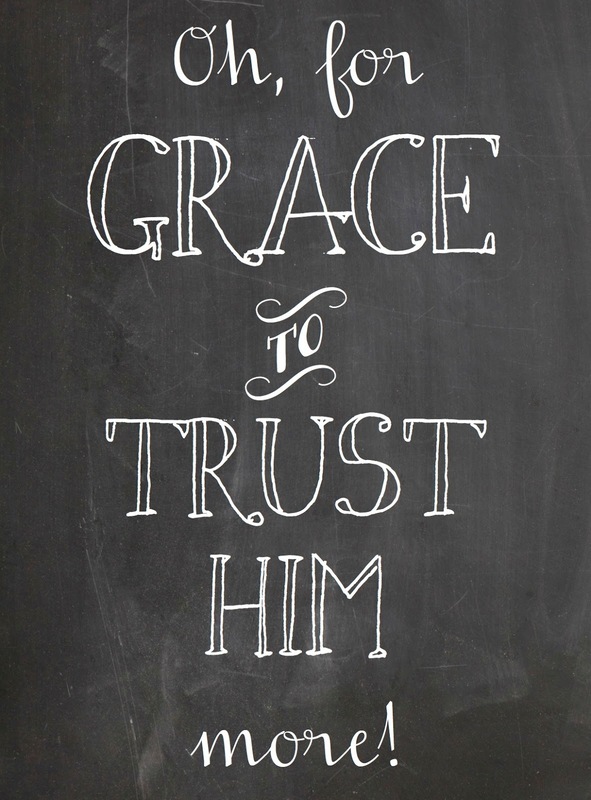 God lavishes his grace on us, not wanting us to beat ourselves up when we fall short, but sweetly reminding us that His grace is enough. 2. If you have trouble immediately knowing your right from your left, it is exponentially exacerbated when you drive on the left-hand side of the road and are asked which way to turn next…I said the wrong direction 1,254 times. 3. Irish people are some of the friendliest people in the whole wide world. 4. I do not like straight whisky. 5. I do, however, like Irish coffee. 6. Lambs are pure joy. I’m convinced they set the standard for joy when God first created joy. 7. Sheep run from the sound of a human voice. 8. You don’t have to pay the VAT tax as a tourist—you can apply to get all taxes paid back to you. Learnt that a few days in, unfortunately, and didn’t have all of the proper receipts. 9. “Half eight” is not four. It is 8:30. 10. Irish people eat a lot of “chips”, otherwise known as french fries. They serve them with everything…even pizza. Chips are called crisps. 11. If it’s raining now, it won’t be in a wee bit. 12. The Easter Rising for Ireland’s independence was 100 years ago—went to a centenary celebration and learnt so much. 13. An Irish breakfast is heavy on the protein, translation: so much meat. 14. Most Irish children are not chained to “entertainment”. We spent several hours outside (rain and sunshine) at the Easter Rising celebration with speeches and music. Literally hundreds of children of all ages played and chased and entertained themselves and we did not see a single child gazing at a phone or tablet. It was refreshing. 15. Irish people are not afraid to talk to strangers. They will stop you in the street to chat. I met a few characters that will appear in my writing, I’m sure of it. 17. The Irish brogue is utterly beautiful. 18. The Irish love America…Americans…all things American. We were thankful. 19. Irish people look surprised when you tell them what a beautiful country they have. I suppose if you’ve lived there forever, you forget. 20. Early barrel makers are some of the hardest-working people on earth. Learnt that at the Guiness Storehouse. 21. Irish people love sweets. 22. They do not, however, put maple syrup on their pancakes…and they eat a lot of pancakes. Stacks of pancakes sit next to scones in bakeries. They eat them on the go. 23. There is no definable border between Ireland and Northern Ireland. You just arrive. You can tell you’re there when the currency changes from Euro to Pound Sterling. 24. The conflicts in Belfast are still brewing right under the surface. I understand it a bit better after taking a black cab tour around the “troubled” area. It was eye-opening. 25. The Titanic museum in Belfast is worth every single red pence. 26. 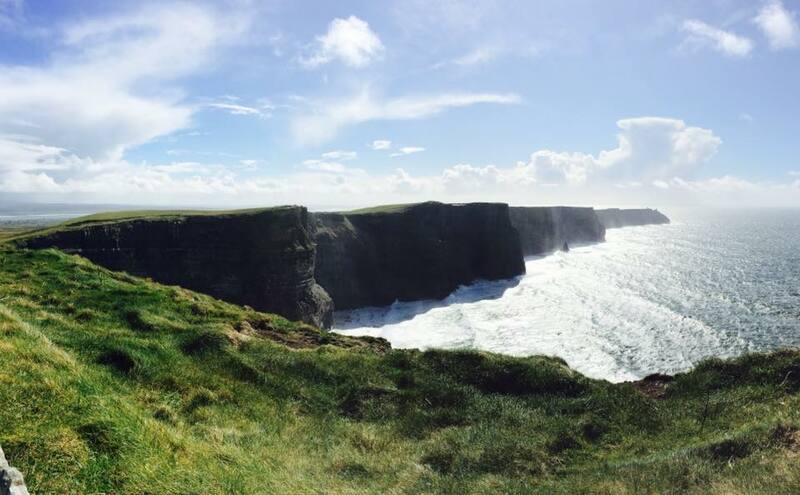 The Cliffs of Moher are pronounced, Mo-Her, not More…and they are stunningly beautiful. 27. Irish music is the saddest and happiest music we’ve ever heard—and beautiful. 29. Irish people stay up late and sleep in. B&B hosts serve breakfast at 9 – 10am Early risers have to adjust. 30. Ireland is known for her writers. I understand why. Ireland is rich in beauty, characters and story. It’s been a year since our visit to Ireland. Every time I remember a moment of our visit, I smile. It was, by far, one of my favorite trips of all time. My daughter has a Panera rewards card. This month she got a super duper bonus reward. She gets a free bagel every single day of the month of March. When she told me this, my first thought was, They have no idea what they’ve just done. There is a Panera not far from her apartment. 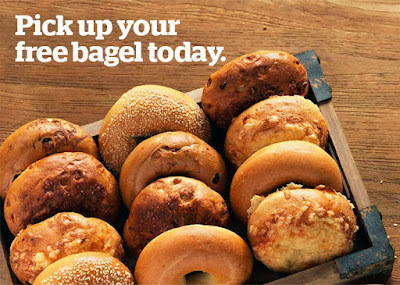 She will collect every single bagel coming to her. To my daughter, a broke college student, a bagel is gold. It’s only March 8th and they know her already. She tells them and they hand it to her…free. I’ll be honest, I’m a little jealous. I want to be rewarded like that, I know for a fact that I’ve been a more faithful Panera customer. Like Panera, God loves to give rewards. Unlike Panera, God’s rewards are not random. God rewards our love and faithfulness to Him. He loves to reward us. And, boy, do we love rewards! God warns us in His word, though, not to seek reward for ourselves. When we are public with our faithfulness, the accolades we receive in real time are the only reward we will receive. The praise of man is good, it feels good, but what am I sacrificing when I settle for that? The bible speaks of God’s reward as an inheritance (Colossians 3:23,24)…what no human mind has conceived (1 Cor. 2:9)…He will lift us up (1 Pet 5:6; James 4:10)…a crown that will last forever (1 Cor 9:25)…a good harvest (Galatians 6:9) and so, so much more. The praise of man pales in comparison. And a bagel…well, it’s just a bagel. The prompt was given at a writing class I attended at the community college. My favorite line came immediately to mind but I knew I couldn't write it. It was dumb. I thought some more, surely there was another line to choose...Nope, no other line came to mind so I wrote my essay. As luck, or rather, misfortune would have it, I was the last to share. Everyone else in the class chose profound quotes from classic movies. Their quotes had deep philosophical meaning, profound and influential. The lines were serious--with political or moral significance. Mine was from a chick flick with little depth. As each person shared, I wondered how to share my line without appearing goofy. Then I began wondering how to get out of sharing at all. I could say I drew a blank, except others had seen me writing feverishly during the exercise. A few of my classmates chuckled. 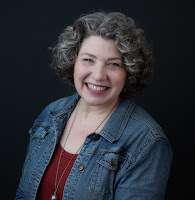 I continued: "As my kids began dating and thinking about finding the one, we discovered the movie Win a date with Tad Hamilton. In a light and breezy way, the assumption that only the most beautiful person wins the guy or girl is unequivocally blasted to rubble. Our hero, Pete, is in love with the unassuming Rosalee who enters a contest and wins a date with a movie star, Tad Hamilton. As a romance ensues, Pete tries desperately to win her heart, but the virile Tad has only to wink and cause hearts to melt like butter on a sweet roll. When Rosalee seemingly chooses Tad forever, Pete seeks the advise of a barmaid who has always flirted with Pete, pining for his heart. Hearing his plight and knowing without a doubt that Pete loves Rosalee, she confesses that Pete is her Tad Hamilton. Pete is surprised and humbled. Then she says the line: “Pete, everyone is Tad Hamilton to someone”. Her words give him courage and he runs to Rosalee and declares his love but she rejects him and runs off with the movie star. All hope seems lost, but as with all good stories, in the end, Rosalee realizes that the real Tad Hamilton is all buff and fluff. She's loved Pete all along. The movie ends with a sappy dance in the rain, and the confirmation that sometimes the good guy does win the girl." When I finished reading, I sensed understanding in my classmates. It's a universal angst, after all, that feeling that we're not pretty enough, not good enough and then, hopefully, the realization that we are loved, we are enough and we are who we're meant to be...that we're all Tad Hamilton to someone.